We're gearing up for the 2014 St. Louis BJD Convention! 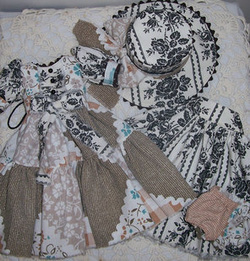 We're pleased to announce Denis Bastien of Affordable Designs and BeJu Dolls as our Guest of Honor! Keep checking back; we'll have our new website up and ready to go soon! Your Couture Workshop: This is a 2 part, 3 hour each workshop (Friday at 8am and Saturday at 2pm) hosted by Charie Wilson. Limited to 12. Top It Off - Knitted Hats for your Doll: You will need to bring AA needles for this one, hosted by Suzi Langellier. Limited to 12. 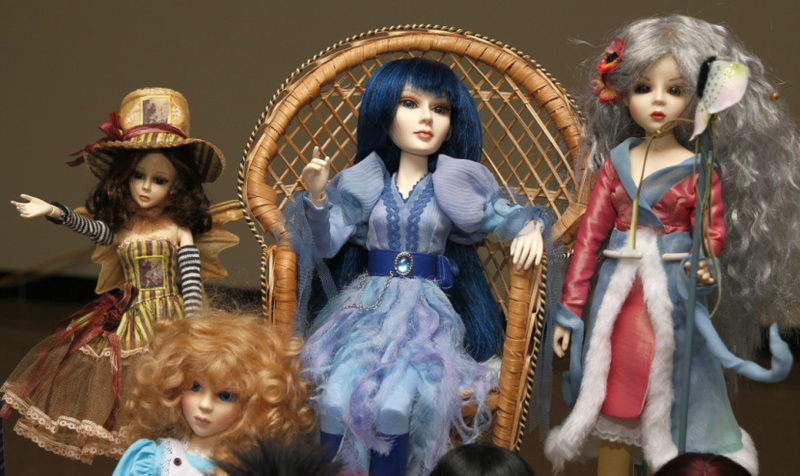 Make Your Own BJD: Hosted by Anna. Limited to 15. Under the Corset: A chemise-making workshop with Heather Galer. Limit 12. If there is still space available at these workshops, you will be able to sign up when you register on site. 11/10: The corset workshop is now closed. We have a full house for that panel but you can still sign up for Charie's couture workshop and Suzi's knitting workshop. Please contact Angela to sign up for either of those at programming@stlbjdcon.com. Click here for recent updates! Designs accessories through 3D printing, too! Official Convention Doll - Impling! You may know her as "Armelia"
Creating a special edition doll head for this convention! Official Convention Head - 1/4 scale Peabody! This year's theme will be Couture. We'll be focusing our programming on clothing how to's, fashion through the ages, and many more fun things! Click here for site information!